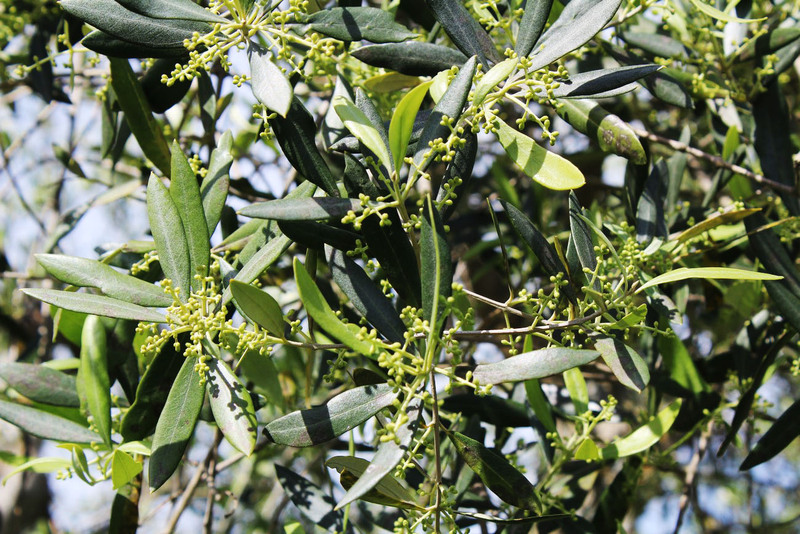 Umbria with its gentle hills and its favorable climate is a regione particularly suited for the cultivation of olives and therefor olive oil production. 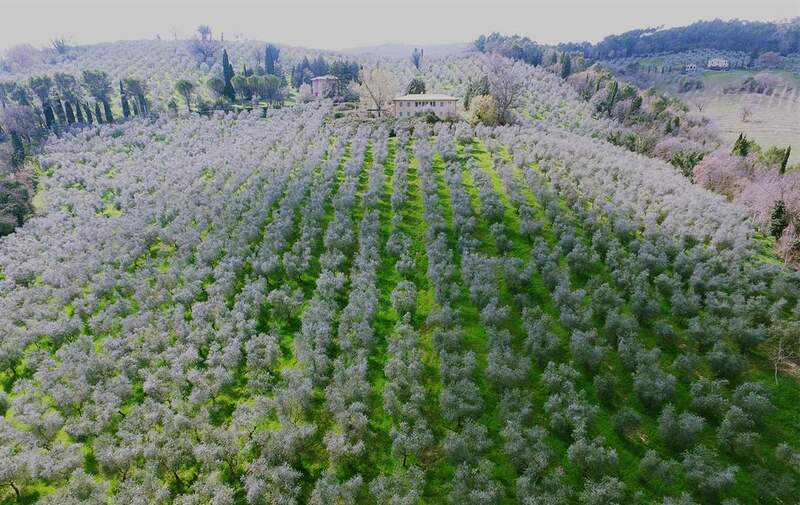 The farm ‘La Fonte’, with its 11 hectares of olive grove and the altitude 300 meter over the sea is perfectly situated in the traditional area of olive cultivation. 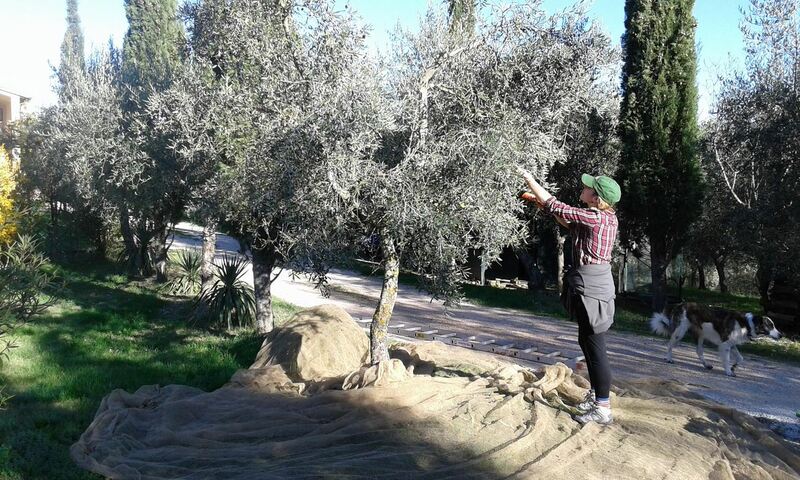 The cultivation techniques used, do not include any chemical products and the fertilization is carried out with organic products and natural minerals. The ground is covered by grass so as not to use herbicides and herbaceous species, once cut it is left on the ground for natural decomposition. 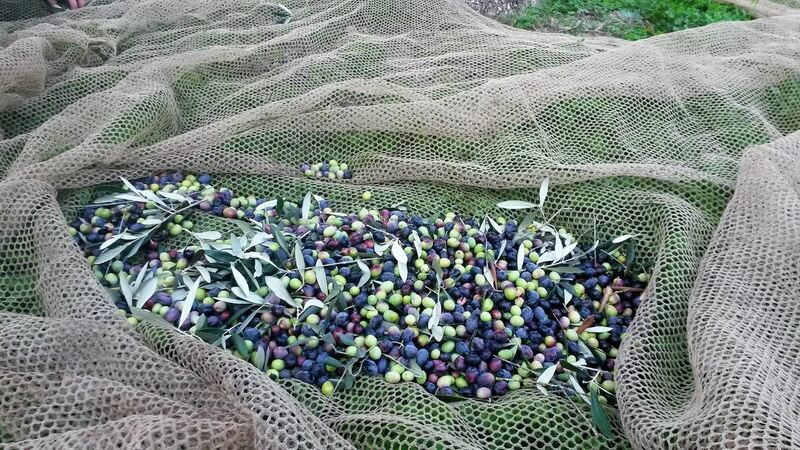 The varieties of olives present are typical of the area, such as Moraiolo, Frantoio and Leccino. 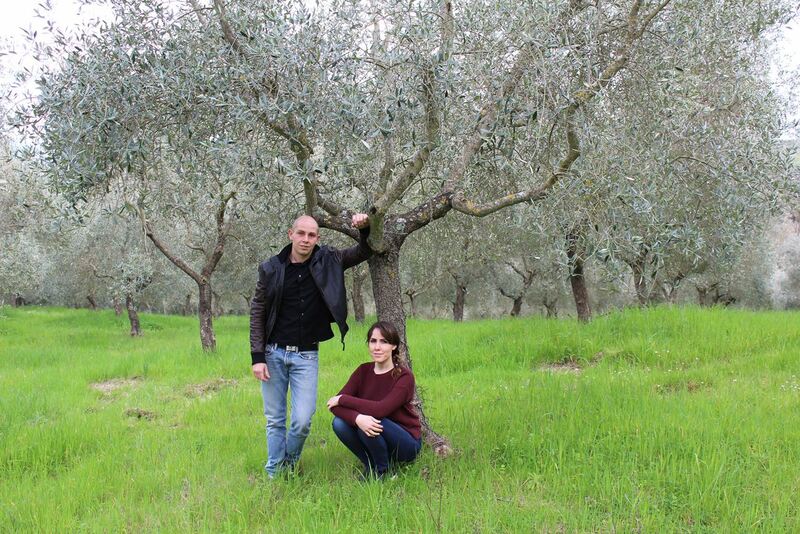 These olives are managed directly by the owners in every step, from pruning and harvesting to the transformation into extra virgin olive oil. 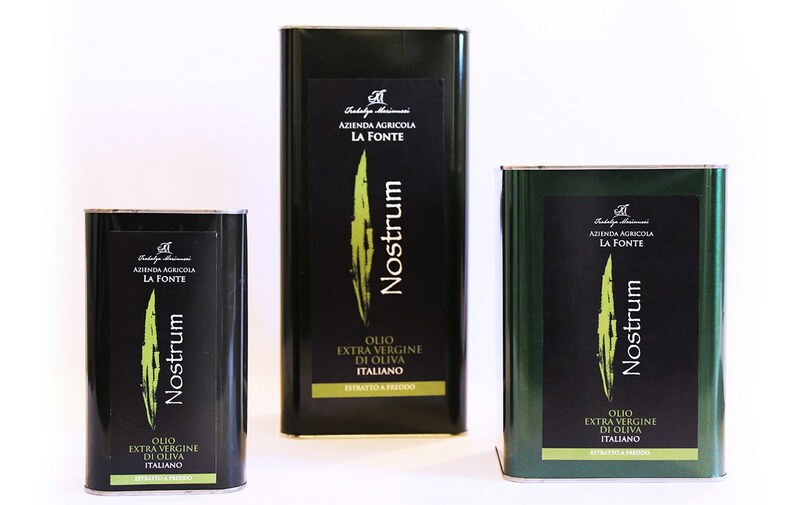 The marketing of the product, company point sales or by appointment, exporting in Italy and in the world is also managed by the owners. 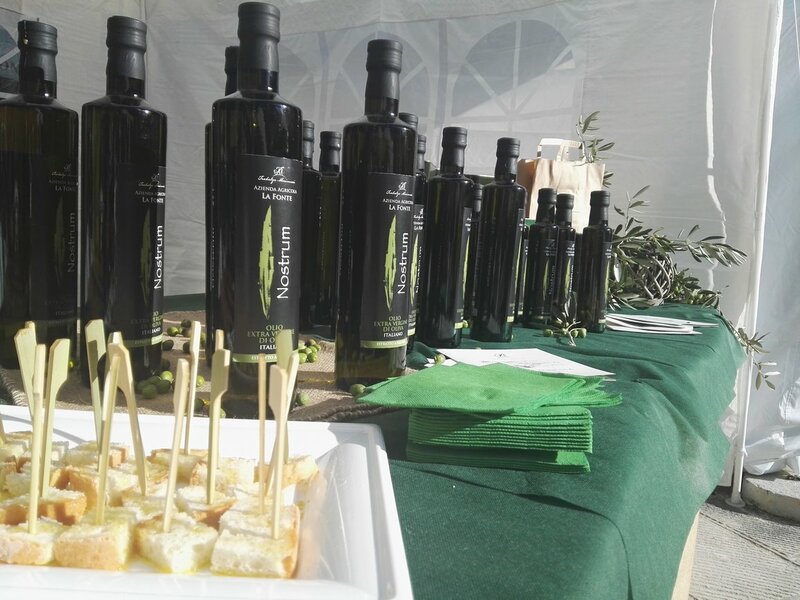 The oil is produced from the olives harvested in the best period called ‘invaiatura’ which lasts from October until mid November when the characteristic green colour start to take a darker shade of green. 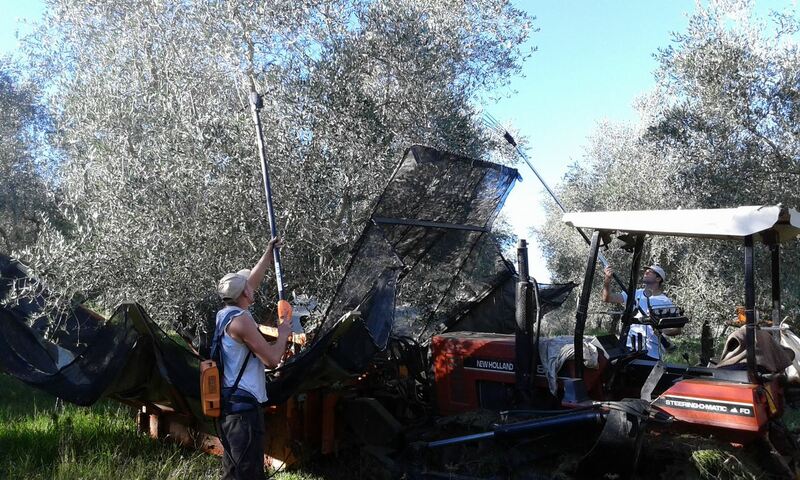 The harvesting is mainly mechanized using shakers, and in part carried out by hand with the help of pickers. 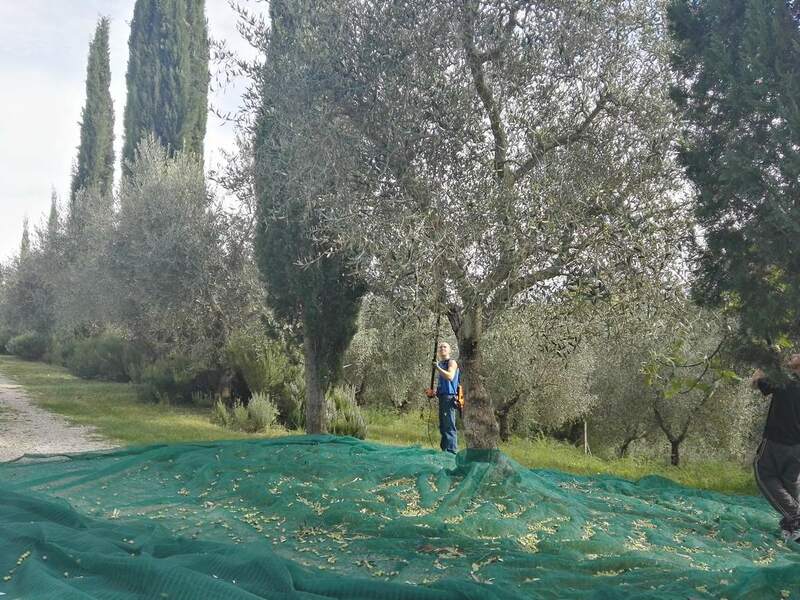 Nets are put under the olive trees to collect the olives that would otherwise be lost. 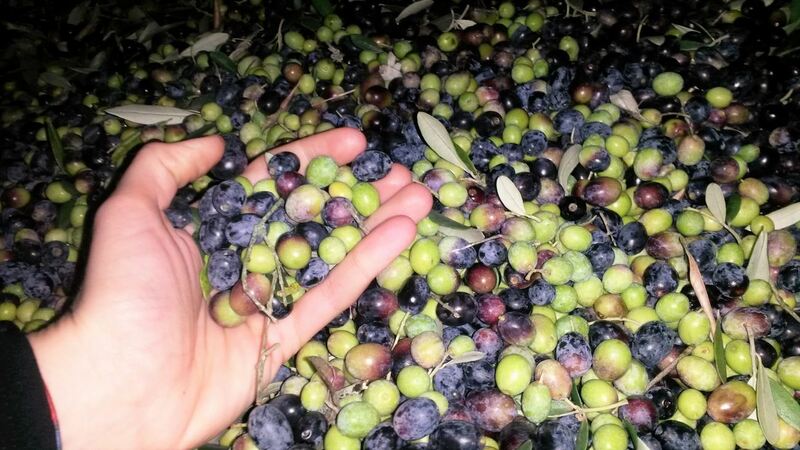 On the same day the olives are picked they are transported to the mill, not far from the place of harvesting, where they are processed within 12 hours and thereby preserving the intact characteristic quality of the oil. 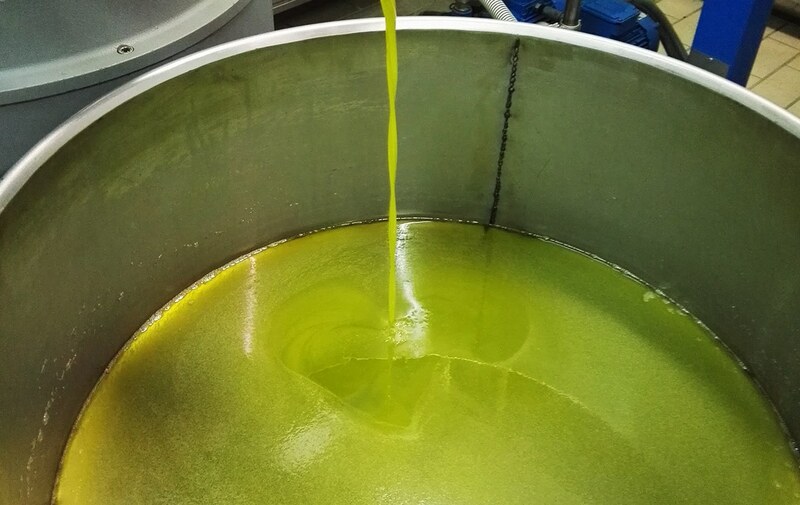 To grind the olives a cold pressing method (20 ° / 23 °) with high-tech facilities is used, in such way the well-known nutritional and organoleptic characteristics of the virgin olive oil are kept intact. 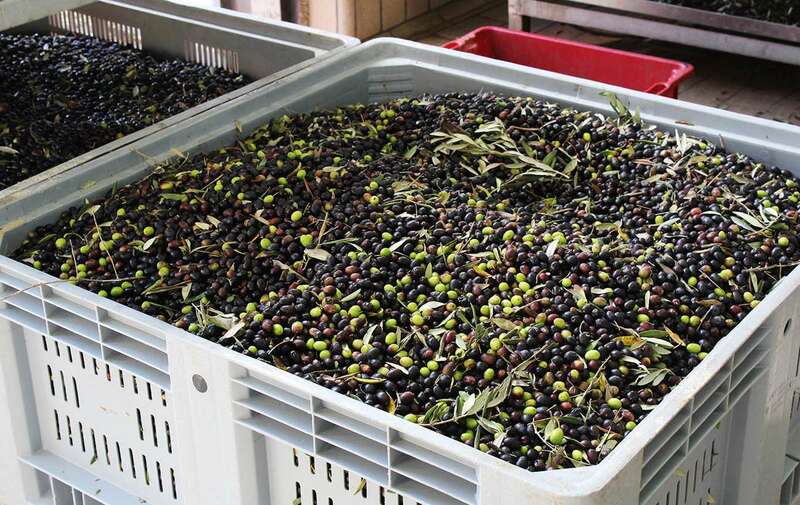 The olive oil ends its journey by resting in stainless steel tanks inside an air conditioned room before packaging. 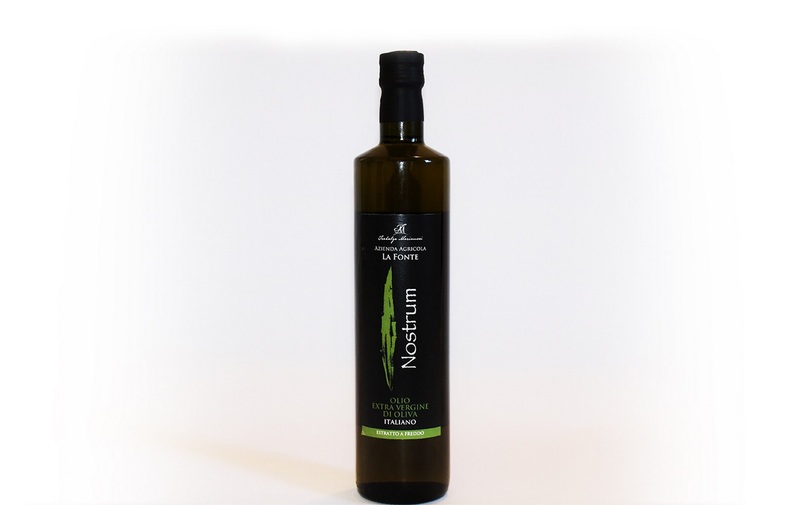 To maintain an unchanged product in time, the oil is mechanically filtered to avoid an excess of sediment on the bottom once bottled and to maintain the characteristics and aromas of oil which has just been pressed. 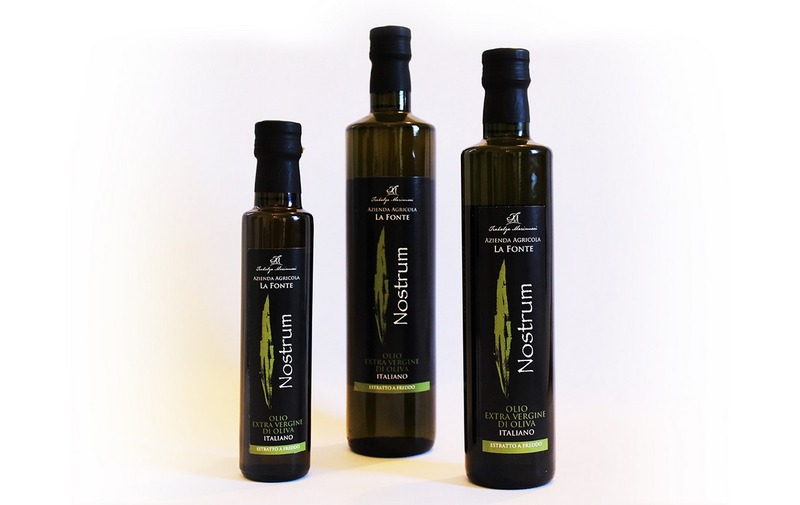 ‘The harvesting of only healthy and ripe olives at the right moment, the cold milling within 12/24 hours and the attentive care of our olive groves, make our extra virgin olive oil a product with unique and excellent features and with a degree of acidity which never exceeds 0.30% keeping all characteristics from olive oil which has just been milled’. Bottle: 0,25 l./0,50 l./ 0,75 l.
Metal Can: 0,50 l. / 1 l. / 3 l. / 5 l.
Food combination: sauces and seasoning, pasta dishes, grilled meat and fish. Great for deepfrying since being naturally resistant to high temperatures.